Most gardeners can grow blackberries, but those in colder areas will have to think about blackberry bush winter care. All blackberry bushes require pruning during the cold season and, if your temperatures dip below freezing, you’ll also want to learn how to protect blackberry plants in winter. For more information about care for blackberry bushes in winter, read on. You can’t just forget about blackberry bushes in winter. They require care. 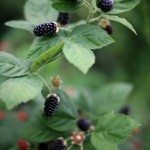 You need to cut back your blackberries during the cold season. Pruning blackberries in winter is part of blackberry bush winter care. Before you begin snipping blackberry bushes in winter, you need to identify which canes on your plants are first year canes (primocanes). These are the canes that have not yet borne fruit. If you have erect canes (canes that stand up on their own), prune your canes in late winter. Remove all of the weaker canes of each plant, leaving only the three or four strongest canes standing. When you are pruning blackberries in winter, cut back long, trailing branches on your erect canes to 12 to 18 inches. Follow the same pruning procedure if you have trailing canes. These are the brambles that lie on the ground unless you tie them to a stake. Prune trailing blackberries in winter in the same way as the erect canes only act in the very beginning of winter, not the very end. Generally, blackberry plants thrive in U.S. Department of Agriculture plant hardiness zones 5 through 10. However, each cultivar is able to survive to different low temperatures. Frost tender blackberry varieties can survive temperatures that dip from 0 to 10 degrees Fahrenheit (-17 to -12 degrees C.), but hardy cultivars survive temperatures down to -10 degrees F. (-23 C.). It is important to figure out what level of cold your brambles can tolerate in order to know when you need to think about winterizing blackberries. If you expect the cold season to get colder than your berries can tolerate, it’s best to learn how to protect blackberry plants from the cold. Winterizing blackberries is different for trailing types and erect types of berry bushes. For trailing canes, remove them from their stakes after you have pruned them. 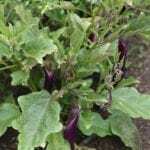 Lay them on the ground and tuck them in for the winter with a thick layer of mulch. Erect canes are hardier (survive cold better) than trailing ones and require less protection. If you expect chill winds, construct a windbreak to protect them.